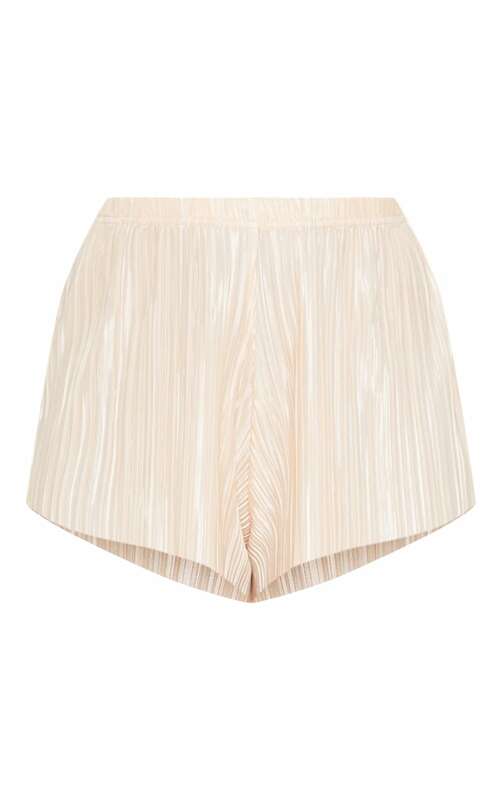 Add some sass to your nightwear collection with these totally cute shorts. Featuring a champagne plisse material with an elasticated waistband and a flattering fit. Team these shorts with the matching bralet for a look we are loving.